Tunisian's 92-year-old president told Nidaa Tounes party members at the national conference on Saturday that he would be stepping aside at the end of his term and would not stand for re-election in November. 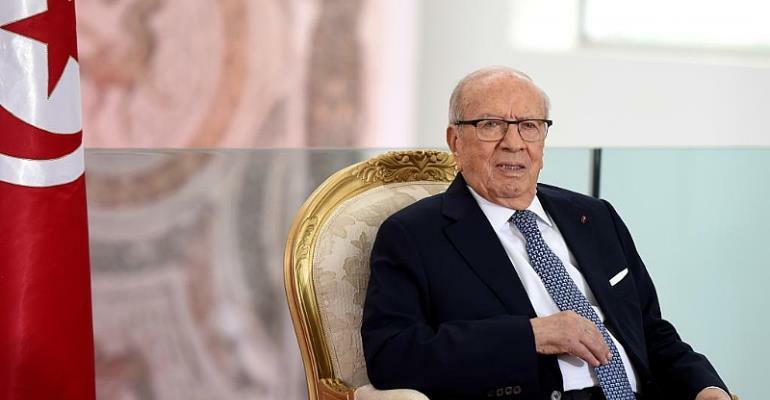 "In all honesty, I don't think I will put myself forward," President Beji Caid Essebsi said, adding it was time "to open the door to the youth". Essebsi, the founder of the secular Nidaa Tounes party, is Tunisia's first democratically elected president. He pushed party members to overcome internal disputes and to re-instate Prime Minister Youssef Chahed as a party member. Chahed clashed with Essebsi's son, Hafedh Caid Essebsi and left to form his own party, Tahia Tounes. None of the main political parties in Tunisia have yet announced their presidential candidates for the 17 November polls. Nidaa Tounes won the 2014 elections and formed a coalition with Ennahdha, the Muslim democratic political party, before splitting with them four years later. Tunisia began the Arab Spring revolutions in 2011, as dictator Zine El Abidine Ben Ali fled into exile. While Tunisia is seen as a model democratic country, it has been plagued with economic crises and high unemployment.